Identified more than 100 years ago by Camillo Golgi, the Golgi is a series of flattened cisternae that acts as a critical sorting and processing station for intracellular traffic. It receives cargo in vesicles exported from the endoplasmic reticulum and then dispatches this to the plasma membrane for secretion or directs it to other organelles, such as endosomes. The Golgi also plays an important role in carbohydrate metabolism: It is the major site for attachment of sugar moieties to proteins. Written and edited by experts in the field, this collection from Cold Spring Harbor Perspectives in Biology includes contributions that review the current models for Golgi traffic and detail the functions of the cargo carrying machinery, such as the COPI and COPII vesicles, the glycosidases and glycosyltransferases that determine the oligosaccharide composition of the cargo, the various sorting signals, GTPases, and adaptor proteins involved, and the tethers and SNAREs that mediate vesicle fusion and deliver the cargo to the next compartment on the pathway. 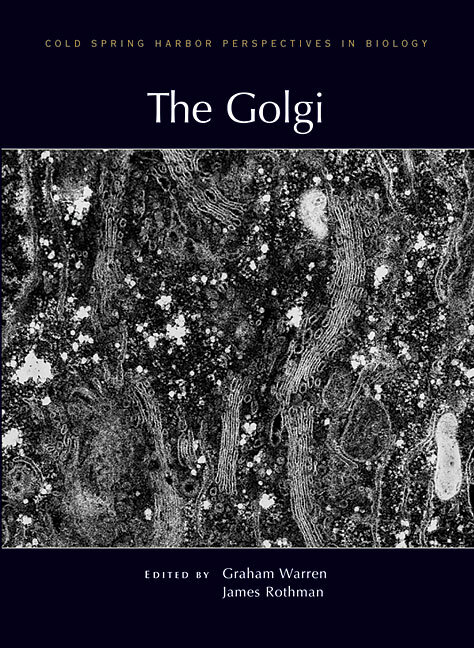 The contributors also examine recent insights into Golgi architecture and positioning, and the way the Golgi fragments and regenerates during cell division. This volume, which includes discussions of Golgi bypass mechanisms, the evolution and diversity of the Golgi, and the involvement of Golgi in development and human inherited diseases, serves as a comprehensive reference for all cell biologists interested in this intriguing organelle.